Once again, Federico Mesclando brings Famille Electro’s label to the light. 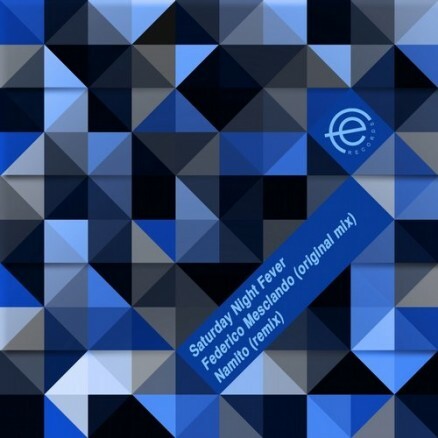 Saturday Night Fever, first deep-housed track, combines a heavy bassline with ghosty chorus followed by Bass Return Honeymoon’s quick pace and sublike kick before Namito’s remix leads us to an elegant and minimalist tech-house caracterised by its organic groove and everevolving bassline. X-Press 2 Bad Return Honeymoon is the best track here. Feodor AllRight and Elena Mechta (AMDJS Radio Show / Russia) Originals are massive. Demarzo (Hot Creation) thanks guys. really like Namito remix! Sam Divine (Defected in the House / House Connoisseur) Very cool vibes! Aleksij (Toolroom / Ibiza Night) Really cool release!Namito remix is top! Ivan Pica (Factomania) will try out thanks! Dan Corco (Famille Electro / Circle music / Natura Viva) Cool funky track !